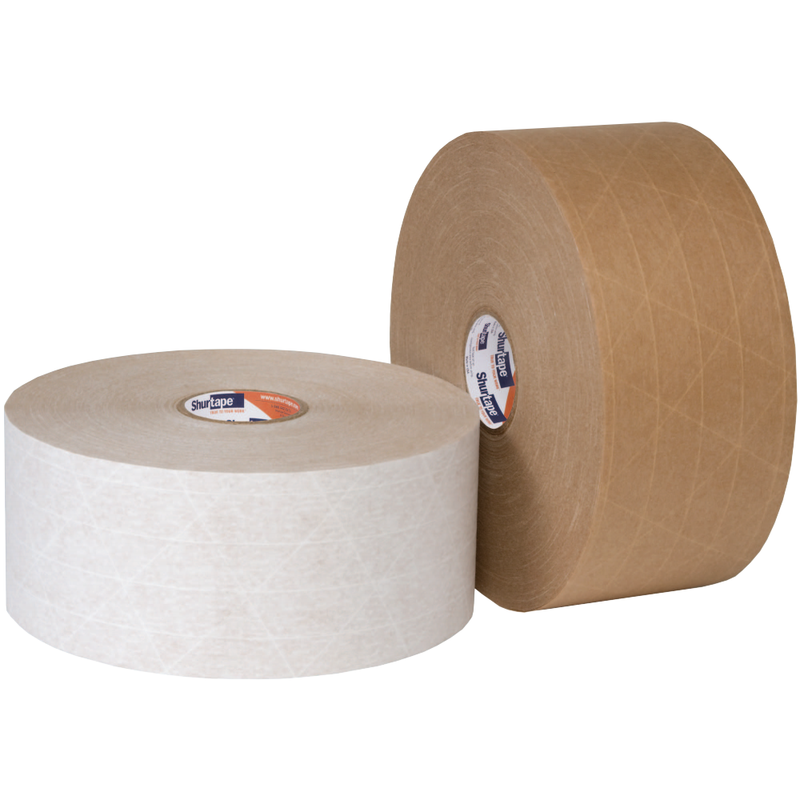 Designed for fast, permanent adhesion, including on hard-to-stick-to cartons such as 100 percent recycled, Shurtape non-reinforced and reinforced paper tapes become “one with the box" to provide the performance and security you need to eliminate pilferage concerns. Production grade reinforced paper tape with water activated adhesive for medium duty carton sealing. Production grade reinforced paper tape with water activated adhesive for sealing medium-weight cartons in normal manufacturing and shipping environments. Strong and conformable with aggressive adhesion to cartons, WP 200 prevents pilferage to help ensure goods arrive intact. Economy grade reinforced paper tape with water activated adhesive for sealing light- to medium-weight cartons.